Iranian Foreign Minister Mohammad Javad Zarif has held talks with his Syrian counterpart Walid Muallem on Tehran-Damascus relations and latest political developments in Syria. In the meeting held on Tuesday in Tehran, Zarif congratulated the Syrian government and nation on their victories over terrorism. Pointing to confessions by the Zionist regime that they support terrorists in Syria, Zarif said they are against stability and calm in Syria and the region. The Iranian minister stressed the need for convergence, coordination and cooperation among regional countries. Pointing to the successful trip of First Vice-President Es’haq Jahangiri to Syria, Zarif underlined the preparedness of Iranian firms to engage in economic interaction with Syria in the reconstruction era. 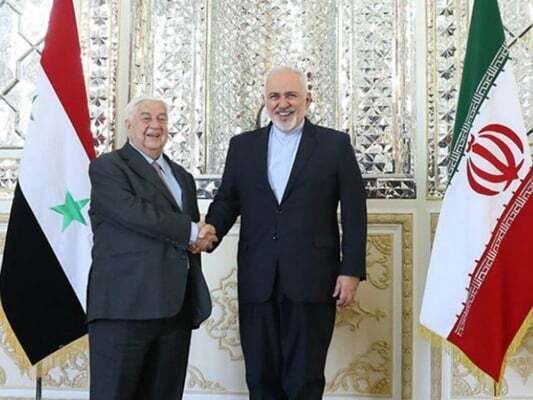 Muallem, in turn, appreciated the support offered by the Iranian government and nation for Syria against terrorists, saying the victory over terrorism was a victory of Syria, Iran and other friends of the Syrian nation. Pointing to the situation in the region, the Syrian minister presented a report on latest developments in Syria and consultations to reach a political solution to the conflict in the country and discussed various plans and solutions. The upcoming meeting among the leaders of Iran, Russia and Turkey in Russia’s Sochi was another topic of discussion between the two ministers.